Martin Place filled with a jubilant crowd - mostly comprised of women. SYDNEY was thrown into a seething whirlpool of excitement on Friday by the announcement that Germany had agreed to the terms of the armistice offered by Marshal Foch and that hostilities had already ceased. It was early in the morning when the cablegram came through, and the news spread like wild-fire. The fact that it lacked official confirmation counted for little in the minds of people thoroughly convinced, that, even if the signatures of the parties had not yet been actually appended to the document, that act could not possibly be long delayed. The pent-up feelings of four weary years at last found vent; and the result was one of the most memorable days in the history of Sydney. The sirens of the harbour, in a weird medley such as has rarely been heard from the waters of Port Jackson, proclaimed that something of vast importance had occurred; and the shrieking of railway whistles, the clanging of tram bells, the hooting of motor-horns, the rattling of tins, and none: every conceivable kind combined to make a terrific din which everybody welcomed because it represented a paean of victory. A little later brass bands joined up, and there was vociferous cheering everywhere, while innumerable mechanical contrivances added still greater variety and volume to the sounds. The streets were speedily thronged as if by magic the city became enwrapped by gay bunting, and nearly everybody waved a flag. Work was out of the question. Factories, shops, and offices were practically deserted. 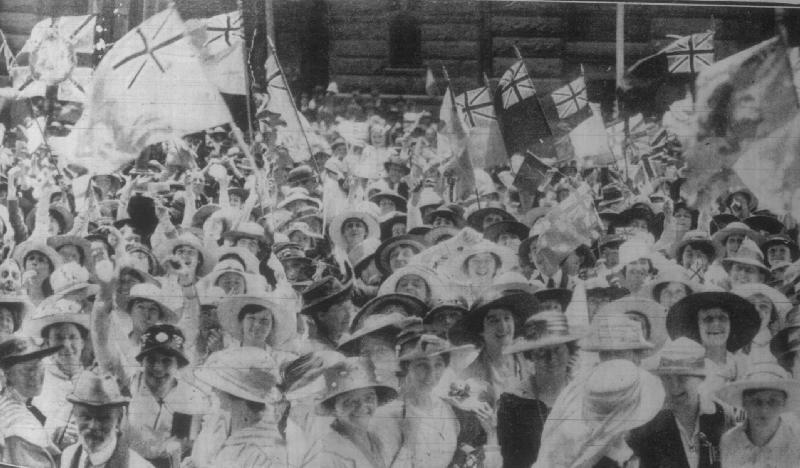 Hatless girls, and men both old and young, poured out of their places of business and formed processions on foot through the streets, or, mounting lorries, drays, motor cars, and any and every sort of conveyance that happened along, moved slowly through the cheering crowds waving the banners and flags of the Allies and shouting patriotic songs. Early in the day the public-houses were dosed, and some of the large shops barricade heir windows, fearing that the pressure of the vast crowds might damage them. The newspaper offices towards mid-day posted bills announcing that the signing of the armistice had been officially denied. This temporarily damped the public ardour, but enthusiasm speedily again ran riot, and the posters were torn down. Official or not, what did it matter? Germany would be compelled to give in, and a day or two would make little difference. And, after all, was not the news from the front, news apart from the armistice, sufficiently stirring to justify public rejoicings? That was the general feeling and the celebration continued far into the night. Throughout it was marked only by the utmost goodwill. 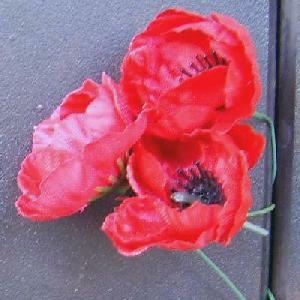 Friday, 12 November 1918 was a day to remember for all Sydney citizens. It was the day to let loose all the emotions and grasp the joy of peace. This day was one of celebration. The next day was the sober reflection on where things would go. But that was tomorrow's worry. Today was sheer joy. The crowds in front of Parliament House listening to the Declaration of Peace. 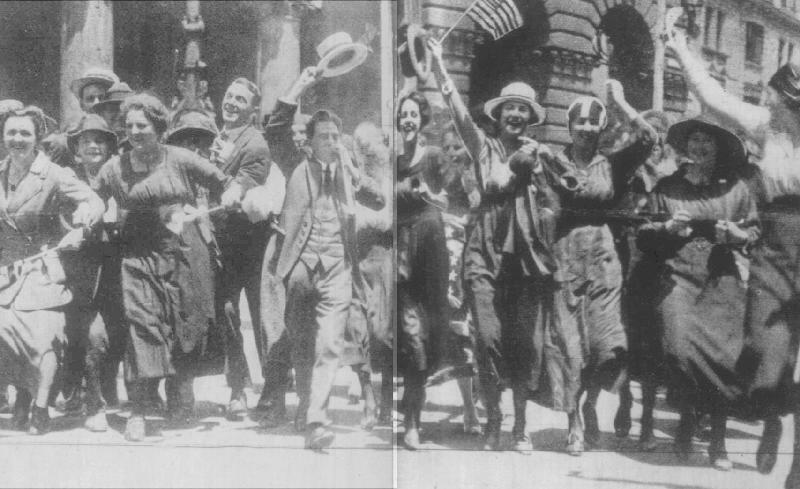 When peace was declared in Adelaide on the morning of 12 November 1918, the city filled with tens of thousands of people. The crowd is filled with all different people displaying the whole range of human emotions, the key being relief. The crowd is pressing in on the thin line of police who appear to be uncomfortable with the crush. One piece of whimsy is the fellow holding an American flag in the foreground. Each face in this crowd has a specific story to tell about the war and the impact of the war upon that life. The full story of peace was something to be savoured slowly and sweetly. Below is the page detailing all the information for the news hungry people in Adelaide. A MERRY THRONG IN ADELAIDE. MUSIC AND LAUGHTER IN THE STREETS. 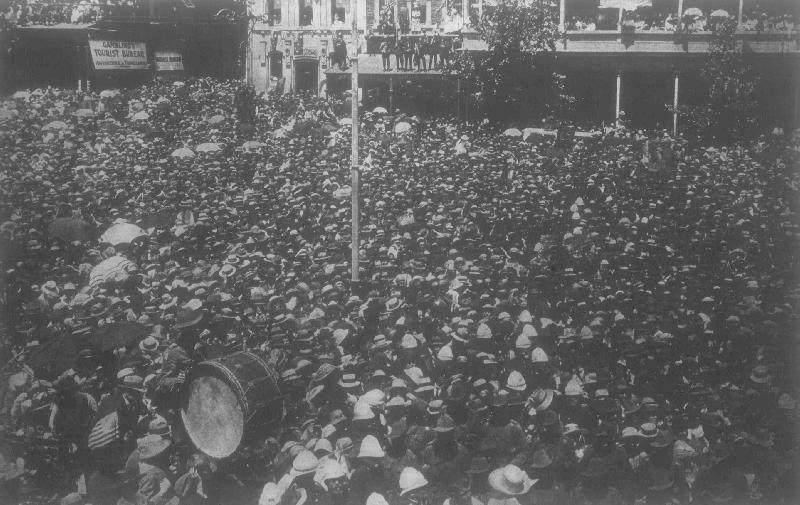 Never in the history of South Australia has such a tremendous crowd assembled in King William Street, opposite the Town Hall as on Monday night when the glorious news of the signing of the armistice was made public. It was, anticipated that historic cablegram would arrive probably about 10 o'clock, and the majority of the 30,000 to 40,000 people who were gathered together in the thoroughfare between the Majestic Theatre and the General Post-Office delayed their arrival at the rendezvous until about 9 o'clock. Shortly after 7 o'clock a special edition of "The Express" was published, long before any other paper was on sale, announcing that Germany had signed the armistice terms, and the crowds who were on their way to the places of amusement either altered their minds and remained in the streets or spent only part of the evening in the halls. It was fully 9 o'clock before the trains packed with passengers from all the suburbs began to discharge their living freight at the city terminals, and by 10 o'clock King William street was alive with men and women, boys and girls, all gloriously happy and bent on giving expression to their feelings of joy in any form which suited the moment. The enthusiasm was unbounded, everybody seemed to have let loose a flood of delight, it was sight never to be forgotten. The war had ended: the people know it, and they were intoxicated with joy, but, although such a vast throng joined in the patriotic displays and made merry as befitted the occasion, there was not the slightest exhibition of bad behaviour. It was an intensely loyal, happy, and thankful crowd, every unit of which desired to give voice to his or her feelings in the most becoming way. A great deal of the wonderful enthusiasm was worked up by that popular patriotic worker, Mr "Sammy" Lunn, who led contingents of merrymakers up and down the street singing patriotic songs, but at the same time there was no need for any special encouragement. The people were in a joyful mood and were powerless to restrain their emotions. After many years of grim news and sorrow filling the lives of relatives left in Australia, the comforting information in the newspaper assures the citizens of Adelaide that the nightmare is over. The relief is palpable in every sentence written on this page. It was a happy time for all. 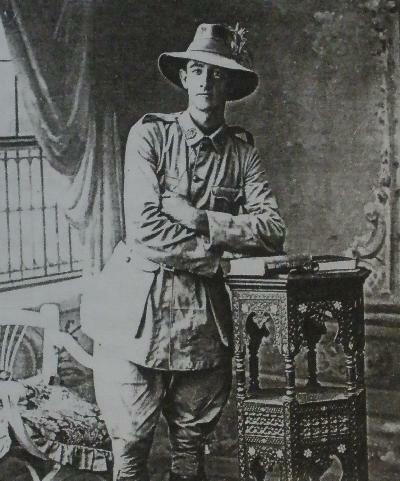 The newspapers also began to reflect on the meaning that this information held for the citizens of Adelaide. Many issues needed to be addressed. The sobering reality was that casualty lists were still arriving and would continue to do so for nearly another year. More military discipline, you not supposed to be sick. We didn't last long before they put us into a couple of barges and sent us off down to Port Said to our own hospital. The morning after I was discharged out of GBH, that was the morning Armistice was signed, 11 November 1918. And we were about half way across the canal in a rowing boat, about 4 of us in this boat with a Egyptian going over to the convalescence camp in Port Said. We never got any news we didn't know what was happening. Not like today, you get the news before it happens. There we were half away across the canal and holy sailor, the whole of the canal went up. Shotguns were shooting, guns were roaring, whistles were blowing. We said. "What the bloody hells going on?" We thought that a sudden attack occurred. We didn't know what the hell had happened. The old Egyptian didn't know whether to jump over board or not. He didn't know what the hell to do. We didn't know what had happened until we got to the other side. It was quite a step across the canal there, it had been widened out, we found out afterwards that the Armistice had been signed "
Our convalescence camp was just in the suburb of Port Said. We were just on edge, just off the main street just a couple of yards. And we were poor as crows and hungry as dogs. Wynn, NI, Behind the Lines, Brisbane 1997. The Roll of Honour contains the names of all the men known to have given their lives on the day the Armistice was signed at 11 am, 11 November 1918.